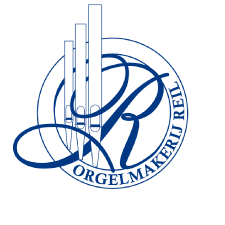 History - Orgelmakerij Reil B.V.
Johann Reil, the founder of the firm of Reil, was born in München on the 6th of April 1907. 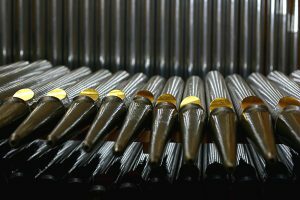 After learning the trade with the organ builders Moser and Nenninger of München from 1922 to 1928, he worked in 1928 and 1929 successively in Augsburg (with Mühlbauer) and in Basel (with Zimmerman an Schäfer). For the latter firm he travelled to the Netherlands in 1929 to erect an organ in Tuschinski Theatre in Amsterdam, and he decided to stay in Holland. Between 1929 and 1934 he worked for various Dutch organ builders Valckx and Van Kouteren, Flentrop and De Koff. In October 1934 he founded his own business in Rotterdam under the name ‘Eerste Nederlandsche Orgelonderdelen Fabriek’ (First Dutch Factory for Organ Parts) and established his workshop in Schouten­straat 129. In 1937 the firm moved to Heerde. Begun originally as a firm of supplies for other organ builders (chests, wooden pipes, harmoniums with pedalboards etc. were produced), the first commission was carried out in 1936 on an organ in the ‘Hervormde’ church in Lichtenvoorde. The construction of a new organ (the first) followed in 1938 for the ‘Gereformeerde’ church in IJmuiden-Oost. Johann Reil concentrated increasingly on the construction of mechanical organs of which the first was built in 1948 (‘Gereformeerde’ church in Arnemuiden). The founder of the business died unexpectedly on 5th May 1960. His two sons Albert and Han (who were then only aged 17 and 20 respectively) continued the business together with their mother and the employees. Albert R eil learnt the trade in the family business and spent some months as apprentice to the pipe maker Busch in Herten, enabling a pipe makers workshop to be set up afterwards in Heerde. Han Reil completed his training in electronic at the Technical High School and after an apprenticeship in the family business he specialised particularly in voicing. To this he worked for some months with the firm of Kuhn in Switzerland.